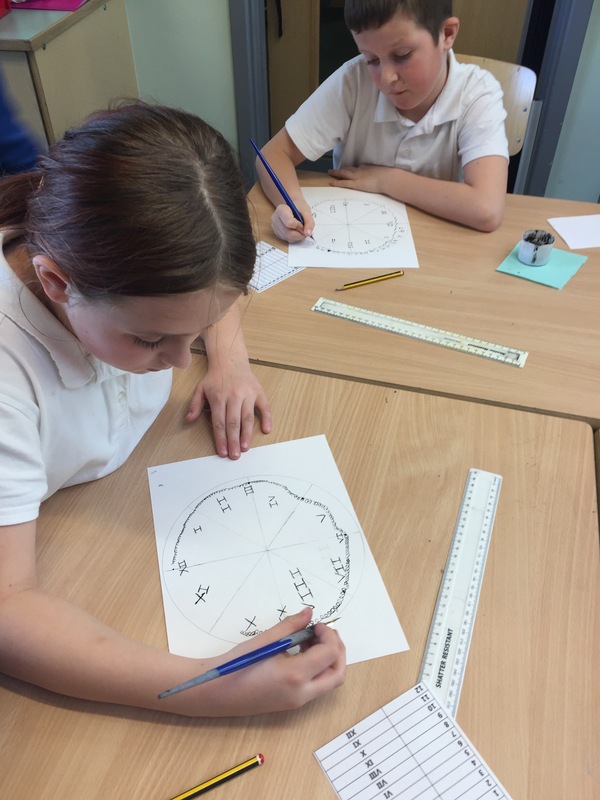 Today, Y4K mixed their Numeracy learning with some art work. 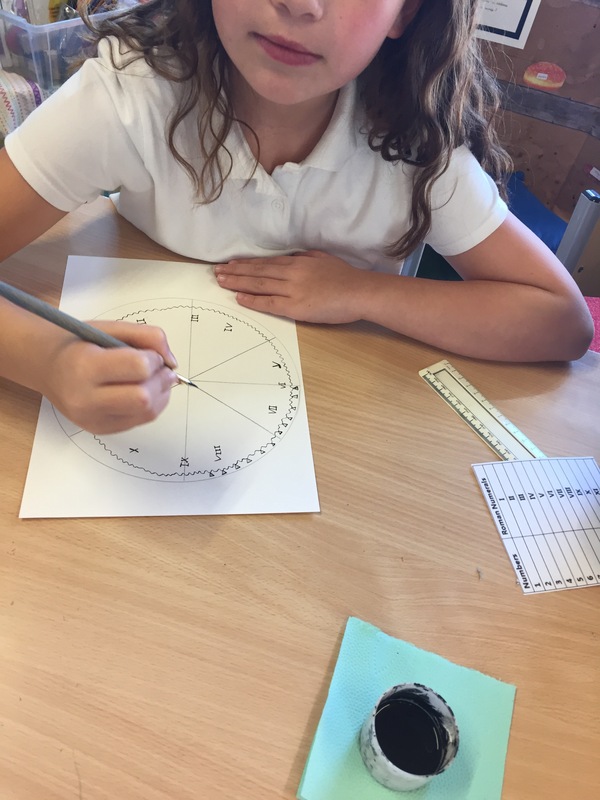 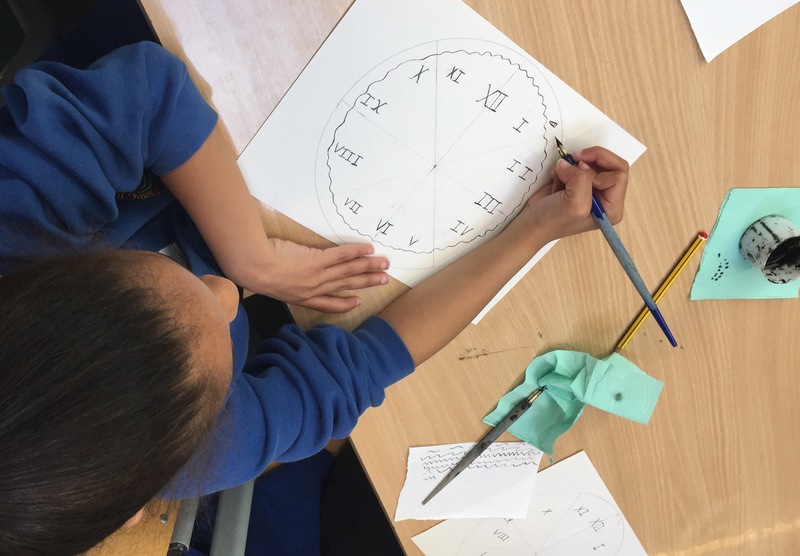 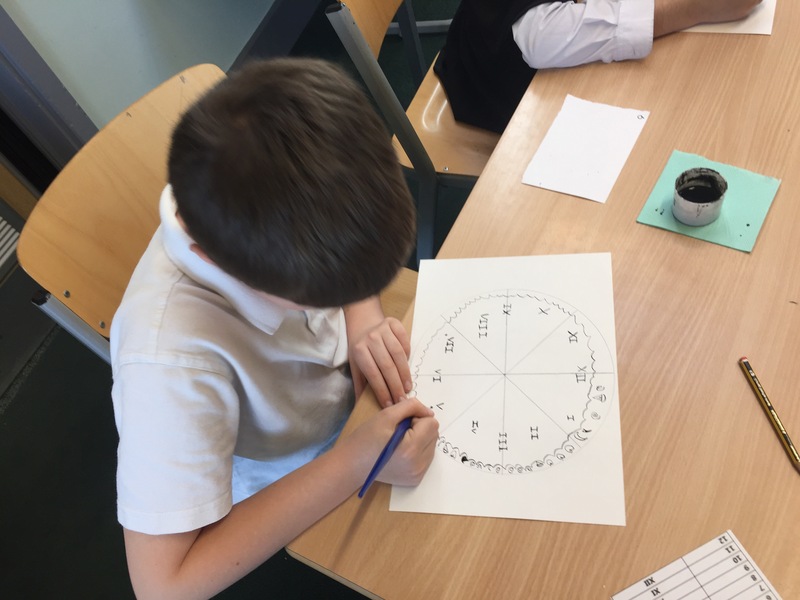 After learning all about Roman Numerals in our Maths lessons, we put our knowledge to good use and created some Roman Numeral clocks using pen and ink. 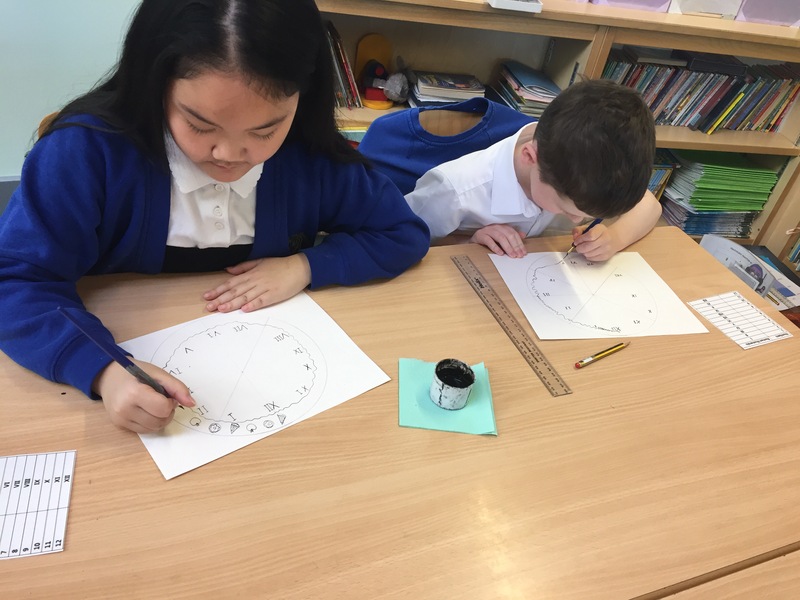 If you look closely, you may be able to see some patterns on our clocks. 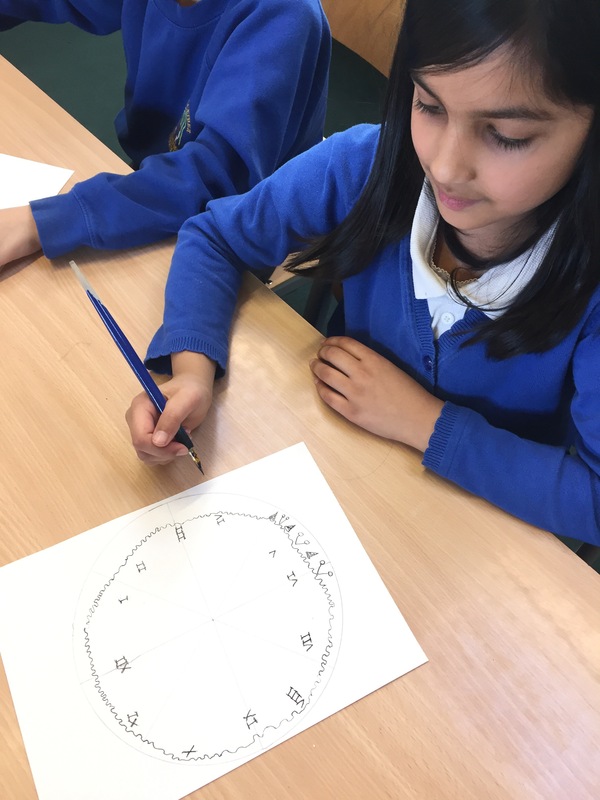 The patterns are linked to our topic, Global Gourmet. 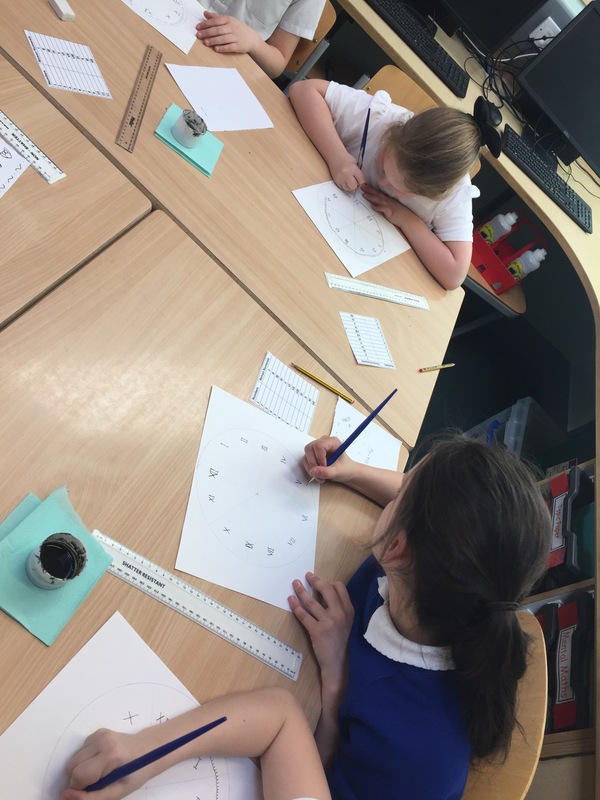 ← There’s been a murder!